VASER is an acronym for Vibration Assisted Sound Energy at Resonance. 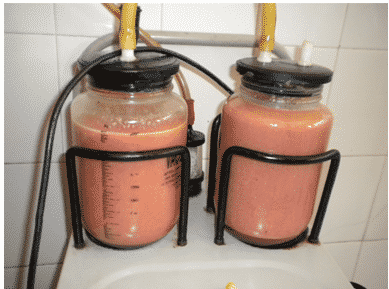 It simply means the application of sound energy (ultrasound energy) to liquefy fat by selectively targeting fat cells. 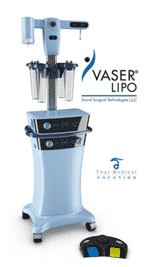 VASER is a new state of the art technology in the field of liposuction. The high safety profile of the process lends itself to working on areas such as the abdomen, breast, back, thighs and buttocks all in one go itself. Today 80 percent of the liposuction procedures performed at Divine Cosmetic Surgery are done using VASER technology. VASER selectively targets fat cells without affecting blood vessels and nerves. Thus it is safer than conventional tumescent liposuction. The sound waves follow a sine wave curve alternatingly expanding and contracting the fat cells. At a certain stage he fat cells burst due to excess of surface tension. 1. VASER 4 D for 6 – pack surgery, hour glass figure surgery and buttock reshaping. 2. Skin contraction – leading to skin tightening – almost no loose skin after surgery.